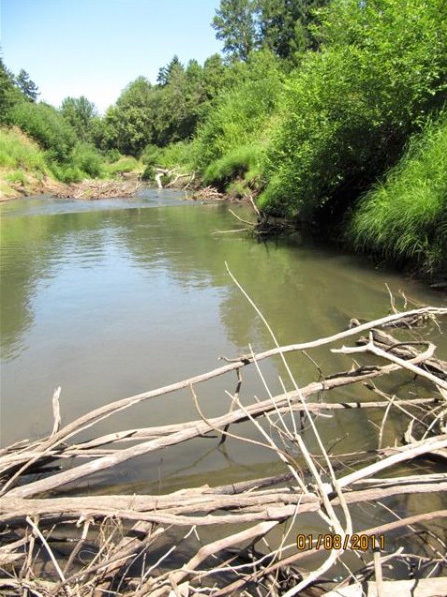 Each year, the area upriver from both the McMinnville Mammoth and Bison sites is affected by the flooding of the South Yamhill River. 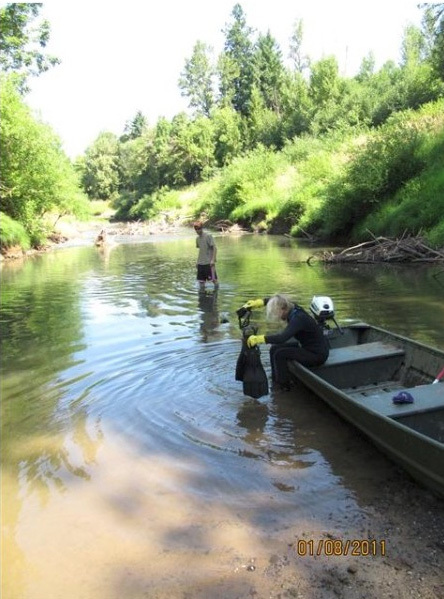 Animal bone, tusk material, and occasionally flaked stone items are recovered from the water each summer, when archaeologists and trained volunteers survey the area. 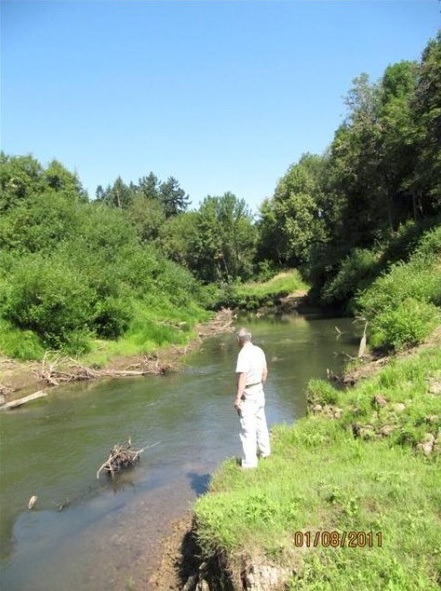 The following images, provided by Dr. Lyle Hubbard, demonstrate the river environment. 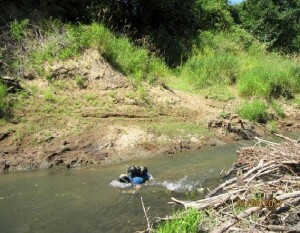 The debris that accumulates in the river makes snorkeling and diving hazardous. It also, however, slows the flow of the river, allowing paleontological material to accumulate. Occasionally, artifacts are also observed. Instructions of how to survey, how to document any potential finds, and how to stay safe are part of a day’s work. The water is fast, dark, and cold. When possible items of interest are observed, the shore crew documents locations. 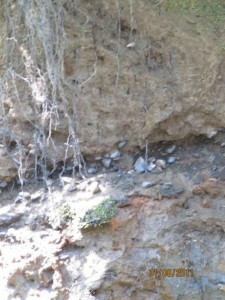 In one area where the river has ripped away the grassy bank, a gravel stratum is exposed. Based upon radiocarbon dates from excavations on land, this stratum is believed to be over 40,000 years old. Partially submerged flood debris, and slumpted banks, are evidence of a chaotic winter. 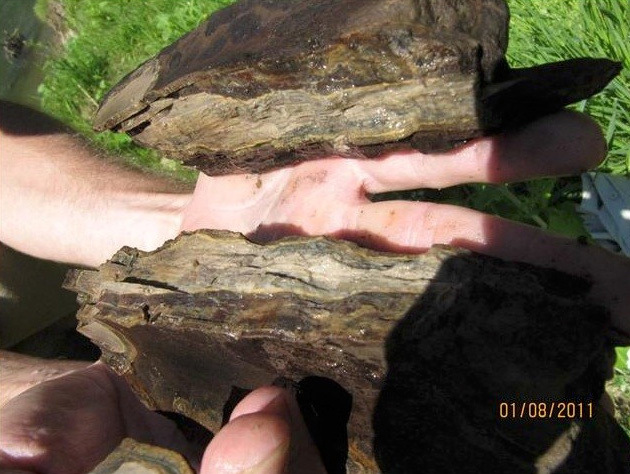 A tusk fragment is shown in cross section, showing the inner layers. This is a remnant of a very large tusk. 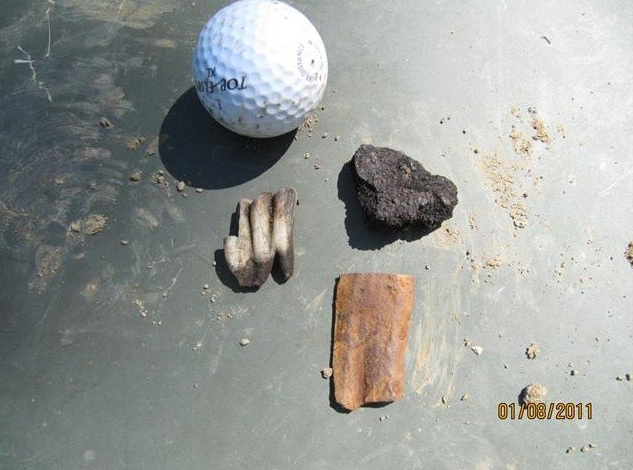 Recoveries from the river include a golf ball, a probable deer tooth, a fragment of megafauna (large animal bone) , and a possible flake off the tooth of some species of megafauna. A lot of equipment, and well trained people, are needed to properly survey even a small section of river.